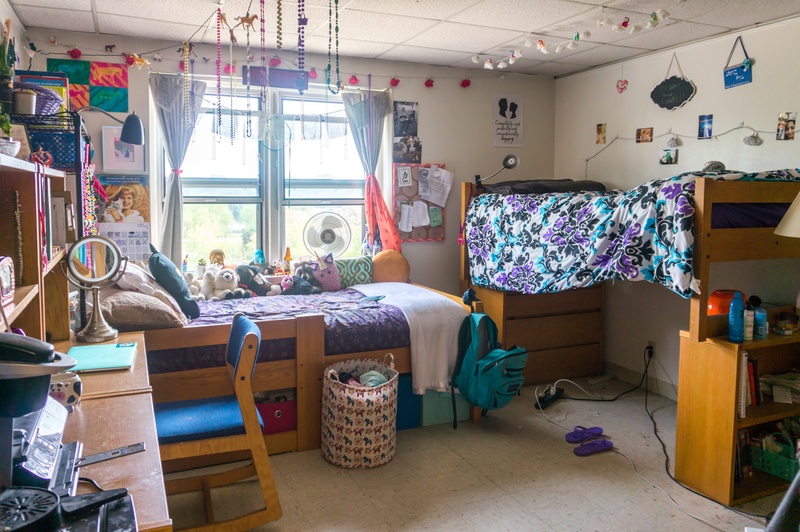 this photo feature is dedicated to giving students a look into the various residence hall rooms around campus. Quad Common Space in Hiett Hall occupied by senior Sarah Axtell, senior Willa Johnson, senior Gillian Etherington and sophomore Grace Reif. Highlights of Hiett include newer facilities, a great view of the river and it’s excellent proximity to the academic buildings. Sage Hall Double occupied by sophomores Pari Singh and Dominique Barbee. 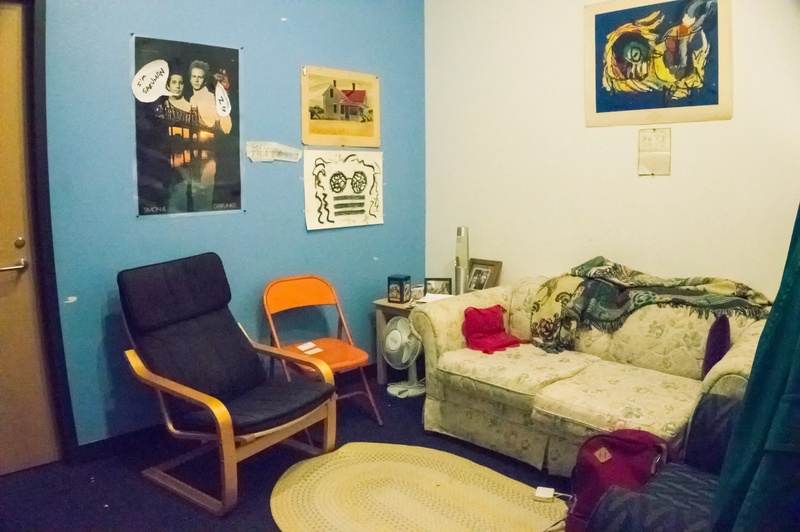 Sage is known for gender neutral living spaces and a close proximity to the Warch Campus Center.